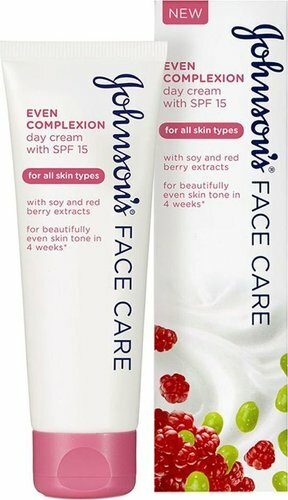 Johnson’s Face Care Even Complexion Day Cream 50ml is made with soy and red berry extracts and helps to even out the complexion by reducing the appearance of dark marks and blemishes. Even skin tone in 4 weeks. SPF 15. UseInstructions: After cleansing. gently smooth over face and neck.